"Sony will create a new movie and production company surrounding 'Ghostbusters' "
The Ghostbusters brand has remained a popular one since the original movie was released in 1984. Recently, director Paul Feig (Bridesmaids) made news that he was developing a female-centric movie, starring Kristin Wiig and Melissa McCarthy. The movie is set to shoot this summer and will be released July 22, 2016. According to The Hollywood Reporter, Sony Pictures is now expanding its Ghostbusters movies not just to the franchise level, but to the cinematic universe level. 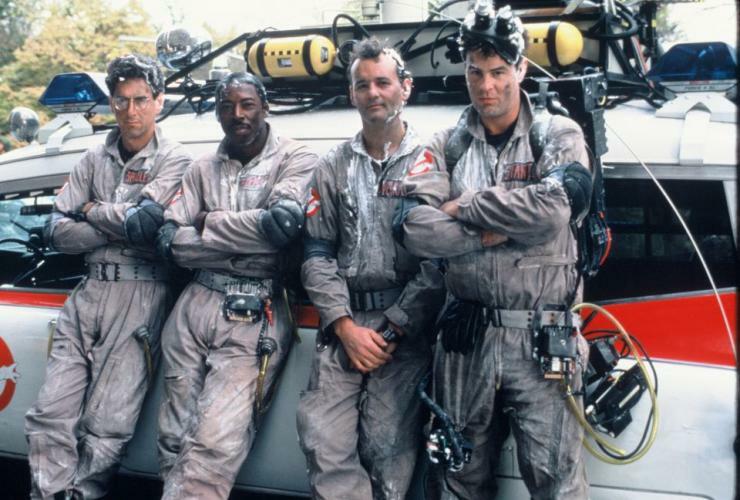 The studio has put together Ghost Corps, a production company headed by original Ghostbusters director Ivan Reitman and star Dan Aykroyd, that will oversee the expansion of the franchise not just into a cinematic universe, but also move Ghostbusters into television and merchandising. A male-oriented movie will be made and be released after Feig's movie. The Russo Brothers, Joe and Anthony, known for Captain America: The Winter Soldier, will direct the latest feature, with actor Channing Tatum (Foxcatcher) said to produce and possibly star in the movie. It appears audiences will be calling the Ghostbusters for quite some time.